Loading pressure is an aspect of metering rod coating that can have a significant impact on the efficiency and quality of your coating operation. When loading pressure is correctly calibrated, it allows the metering rod to do its job properly and lets you fine-tune your coat weight within a narrow range. But when loading pressure is not properly calibrated, many costly coating issues can arise. Here’s what loading pressure is about and how loading pressure problems can impact your rod coating operations and your profitability. Loading pressure is the force at the interface of the metering rod and the substrate being coated. In converting applications, where the metering rod is coating directly onto the web with no backing roll, loading pressure is controlled through wrap angle and web tension. As the wrap angle or web tension increase, so does the loading pressure. In higher-speed coating, usually when you’re utilizing a backing roll or transfer roll, a pressure member (usually called a loading hose or loading tube) is used to control this force. 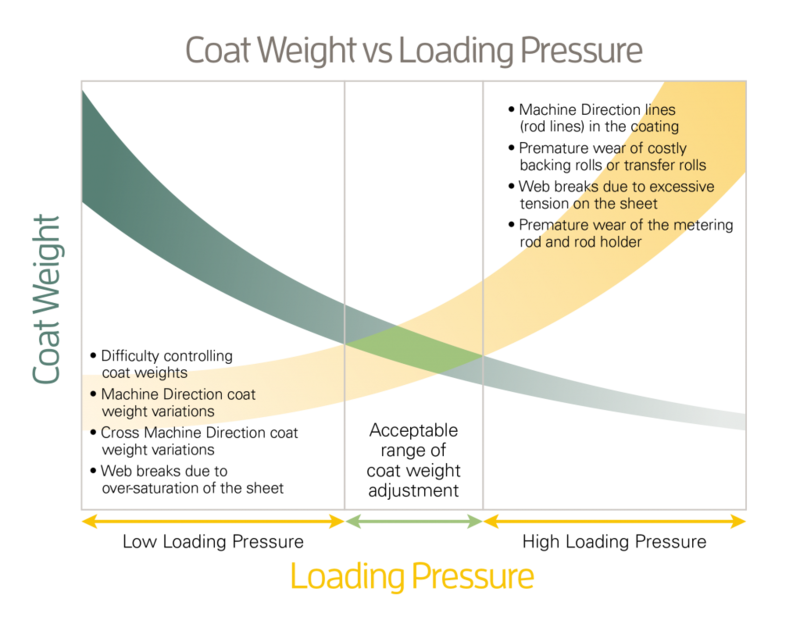 How Does Loading Pressure Affect Coat Weight? There is an inverse correlation between loading pressure and coat weight. As loading pressure increases, the coat weight will decrease and vice versa. 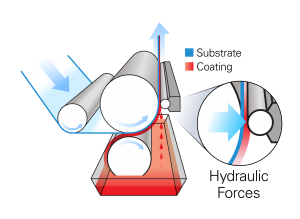 During coating, the wedge of coating being driven into the rod by the moving substrate imparts a hydraulic force on the rod, lifting it away from the substrate. Line speed, coating viscosity, and other factors affect this hydraulic force. But regardless of the source, loading pressure is used to counteract these forces and create a balance where target coat weights are achieved. With grooved rod coating, coat weights are controlled volumetrically: The open area of the thread determines the volume of coating that remains after metering. As loading pressure increases, the threads of a grooved rod will penetrate the substrate further. As this occurs, the effective open area of the threads is reduced, which also reduces the amount of coating that can pass through the threads. 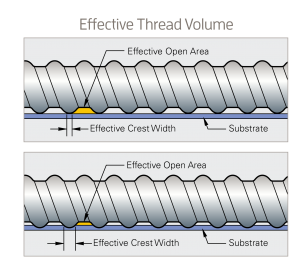 In addition to reduced coating volume, this effect also increases the effective width of the thread crests which can lead to rod lines and other coating defects. Loading pressure that’s too low or too high can cause several significant issues that impact your operations. Web breaks due to over-saturation of the sheet. Premature wear of the metering rod and rod holder. When issues like these occur, your entire coating operation – and your bottom line – can be negatively affected. Production can come to a halt; inconsistencies in coatings can create waste; and you could be forced to replace backing rolls, metering rods, or rod holders much sooner than necessary. How Much Coat Weight Tuning Should be Done with Loading Pressure? Based on our experience engineering precision metering rods for hundreds of paper mills and converting plants around the world, we advise against varying the loading pressure in order to use a single rod for a wide coat weight range. Attempting to do so will create major issues including the ones discussed earlier in this article. However, there’s one exception to this rule: Smooth rod coating. In smooth rod coating, coat weight is controlled with loading pressure and the rotational speed of the rod. 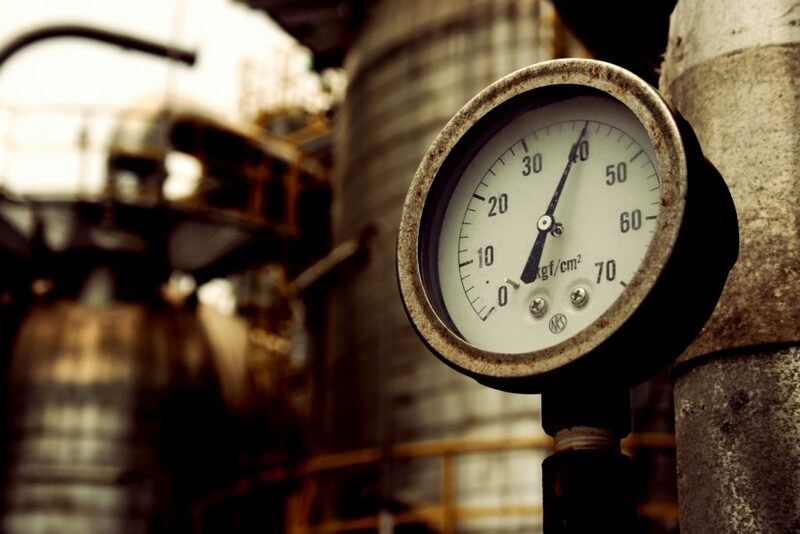 While there is no one-size-fits-all solution for calibrating loading pressure, these are smart steps you can take to avoid loading pressure that’s too high or too low and the problems that come with these conditions. To learn more, contact the metering rod technology experts of Buschman or your rod coating station OEM.